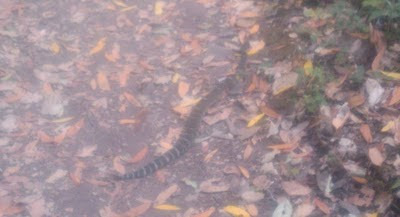 Never Play Cards With a Man Called Doc: Well Hello There Mr. Snake! Mommy was out getting herself prettified and son #1 was off with his friends, so son #2 and I headed off for the trails. Our first stop was the tree cave. I should have taken a picture, but I'm not sure I could do it justice. It's a bunch of bent over trees that form a natural cave. The kids love climbing all over it. I do too. After that we headed off over the mountain. I was impressed with the little guy's stamina. I was leading for most of the way, but he wanted a shot at point. About 2 miles into the trail, he stopped short and said, "whoa!" It's about a 2 to 3 foot rattlesnake. We backed off and found a huge stick. I told the little guy to listen closely because we might hear the rattle. It turns out we didn't need to listen that close because it was much more audible than I thought it would be. He coiled right up and struck at the stick. Man, he was lightning fast! I'm glad it wasn't my ankle. Or his. 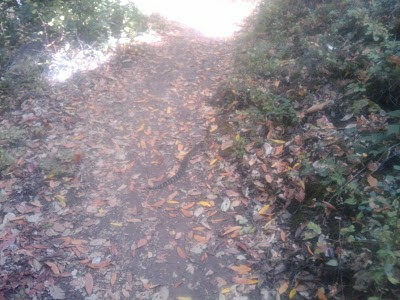 Mr. Rattler slithered off down the hillside and we were free to continue our hike. I think our little guy was impressed with my bravery. What I didn't tell him is that his good eyes, and the fact that he's lower to the ground (and better able to spot our trail companion) probably saved him some serious trouble. Most species of rattlesnakes have hemotoxic venom, destroying tissue, degenerating organs and causing coagulopathy (disrupted blood clotting). Some degree of permanent scarring is very likely in the event of a venomous bite, even with prompt, effective treatment, and a severe envenomation, combined with delayed or ineffective treatment, can lead to the loss of a limb or death. At least is wasn't this guy in Florida. Yea, rattlers are noisy, thank god. When we had a place in the hills we had to check the wood pile very carefully in the spring because they liked to hide in there. One of our neighbors had one near her house and considered it a pet, said it kept the rats away. She was a better man than I. I preferred the big garters, racers and corn snakes for the job, they only hurt like hell if they decided you looked like a rat. You're both rather fortunate and you know what? That makes me happy to know. Just like in wolfies wood pile, I see about three a year or so. We laugh at "close call" but then again, I am a Scotch drinker. 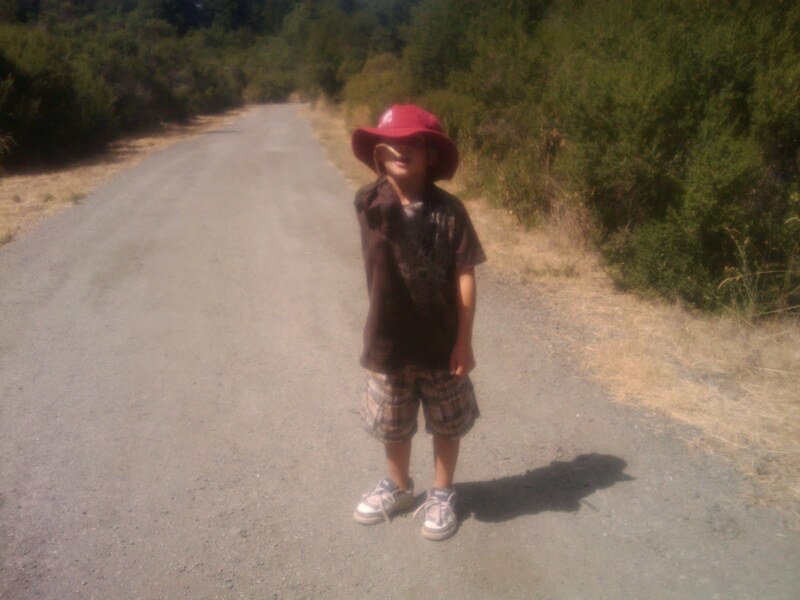 Glad you had a peaceful encounter with a rattlesnake, and your son learned to see them in a positive light. A lot of kids learn to just kill anything they think is dangerous, without learning its value and that fear is often a miscalculation. FERRARI has recalled all versions of its model 458 Italia sports car produced before July this year, after four of them caught fire. 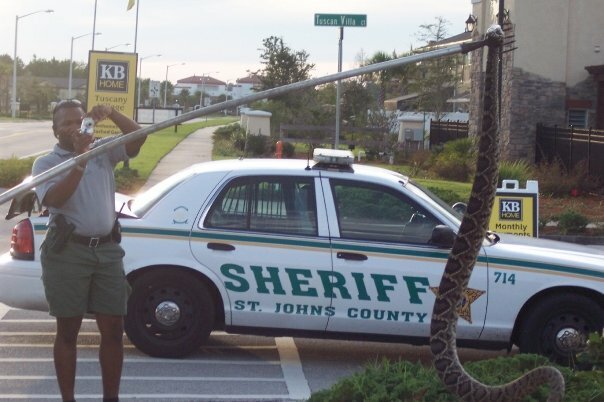 heh, the florida snake is a boa, not venomous. I had one as a pet for years, got to about 3/4 of the size you see there. It is quite interesting interpretation of Captain Hook. Even though he missed the funny mustache.